Hotel Villa delle Fonti is located in the town of Riolo Terme near Ravenna, Italy, in the park “Parco delle Terme di Riolo”. Near the hotel there are many interesting spots for hiking, recreational activities and entertainment. About 200 meters away is the water park " Aqualand " with outdoor pool and water - slides , an ideal place for lovers of water, sun and fun. For short excursions in the surroundings of Hotel Villa delle Fonti, our guests have free use of bicycles for both men and women. 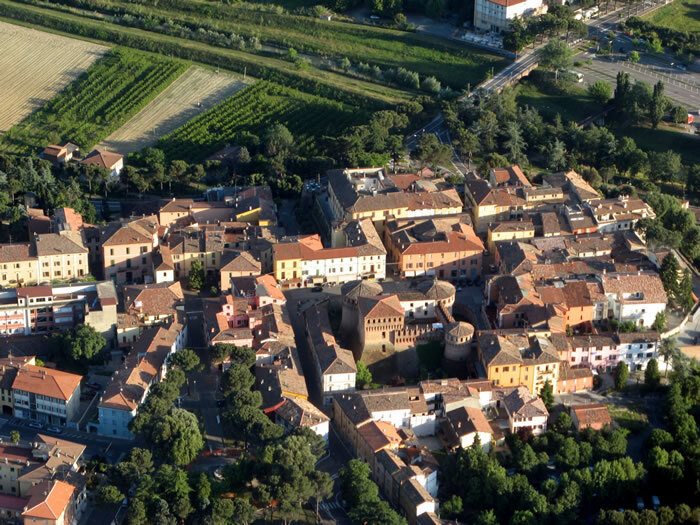 The old town of Riolo Terme is 500 meters away. In the centre, the town organizes many fairs, markets and events for tourists. Every year at the beginning of the season, a calendar of fun and interesting events is published with festivals and celebrations that always attract hundreds of tourists. For those who prefer to take a ride in the country but do not feel like walking or riding, we have a minibus - Shuttle Service (with extra charge ) which starts right in front of our bar. At the entrance of our bar you can also find the stop of regular local buses. In half an hour you can reach the towns of Imola and Faenza or go for a visit to the fantastic historical city of Ravenna. To reach the train station, catch the same bus in front of the hotel bar and in in 15 minutes t you will reach the train station of Castel Bolognese, on the Bologna - Rimini line, and from there you can reach any destination. For those wishing to visit the neighboring historical cities such as Ravenna, San Marino or Comacchio it is possible to organize coach tours with the local transport company. ( Available also for private large groups).